Natural, innovative and sensitive to the ways in which people truly can change, Janet’s strategies go way beyond traditional sport psychology techniques in order to match the needs of each rider, rather than the other way around. 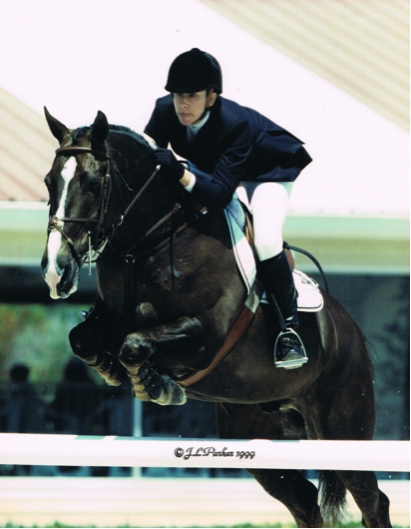 Pioneered the application of modern performance enhancement principles to the equestrian industry. Wrote the ground-breaking book entitled Heads Up! 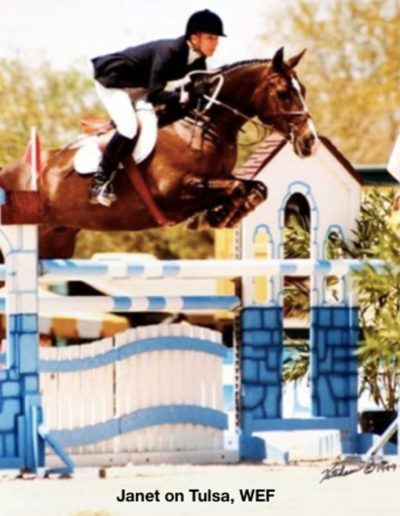 : Practical Sports Psychology for Riders, Their Families, and Their Trainers, which advanced the field past the limiting traditions of relaxation and imagery work. Also wrote The Rider’s Edge: Overcoming the Psychological Challenges of Riding — a collection of essays about the broader experience of owning, riding, training, showing and loving horses. 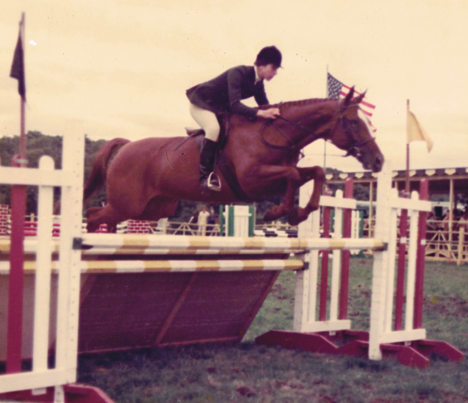 Served as sport psychology consultant for Practical Horseman magazine for eight years, and wrote a monthly column on sport psychology. 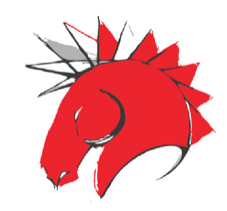 Consults individually to recreational, junior, amateur, and professional riders as well as to trainers, instructors, and other equestrian industry professionals. Offers sport psychology seminars, keynote lectures, and informal Q&A sessions to barns, national organizations and other equestrian governing bodies. 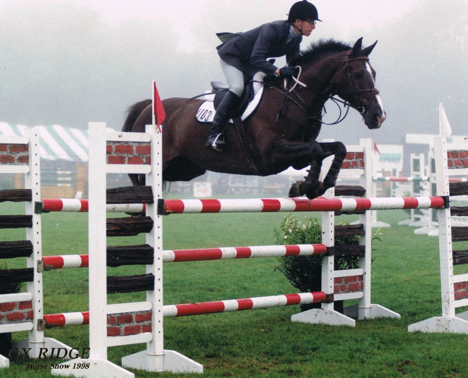 An accomplished hunter/jumper rider who competed successfully as a junior under the tutelage of Wayne Carroll. 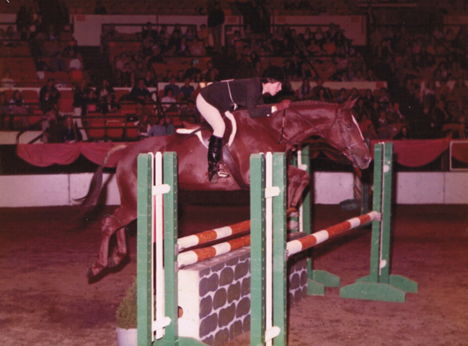 Her junior career included call backs in both the AHSA Medal and ASPCA Maclay finals, and numerous championships in the equitation, junior hunter, and junior jumper divisions. Has since trained for periods of time with such excellent instructors as George Morris, Chris Kappler, Neal Shapiro, Mark Leone, and Emil Spadone, winning ribbons at American Gold Cup, Autumn Classic, Upperville, St. Christopher’s, the Winter Equestrian Festival, and the Budweiser Amateur Owner Invitational in the Amateur Owner and other jumper divisions. 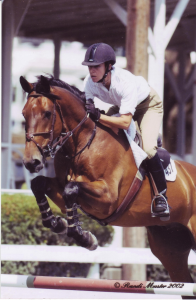 Janet continues to ride and train, currently with Troy Hendricks at Kimber-View Stables in Glenmoore, PA.
By taking the “fight” out of anxiety management or your real fears of getting injured, and remaining very authentic and true to your real experience, you will be disempowering the anxiety you feel and empowering your own self. Besides, who do you know who’s really relaxed at horse shows? The only ones I’ve ever known were the ones who got there by “accident”—they either were thrown into the ring on a strange horse at the last second or were riding under other unforeseen circumstances that made their expectations (and everyone else’s), well, soft. For the rest of us, once the outcome matters, everything changes, including and especially our anxiety levels. That’s just human nature. 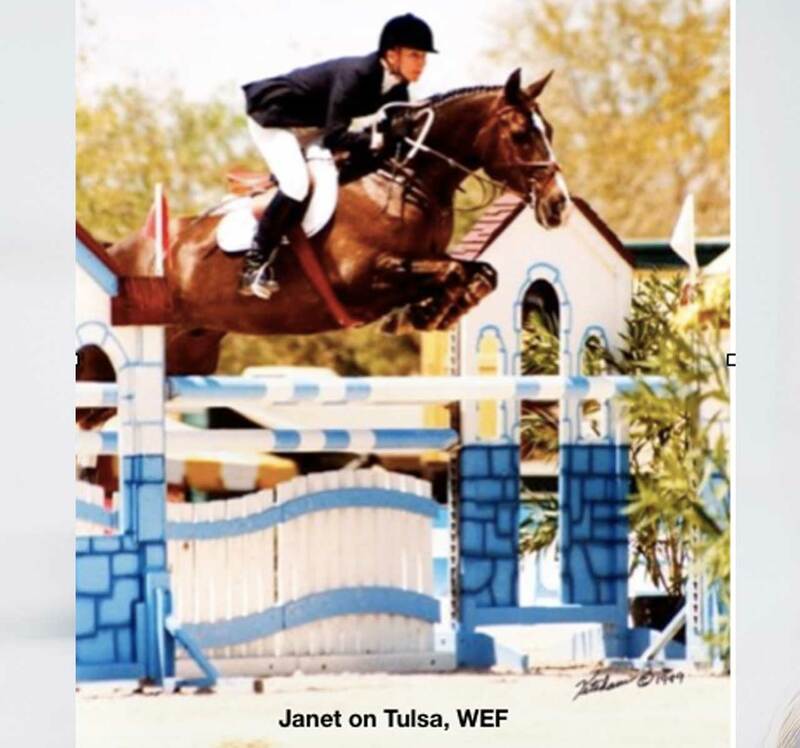 In addition to her work as a sport psychologist for riders, Janet is nationally renowned for her work as a therapist for teenagers, kids, and families. Her approach with families is consistent with her belief that respect, accountability, and prudent transparency are the cornerstones to healthy, enduring relationships between loved ones. Janet is the author of six books, including the popular parenting paperback, Stop Negotiating With Your Teen: Strategies for Parenting Your Angry, Manipulative, Moody, or Depressed Adolescent, and Adolescent Therapy That Works: Helping Kids Who Never Asked for Your Help in the First Place. Her most recent book is The Last Boys Picked: Helping Boys Who Don’t Like Sports Survive Bullying and Boyhood, which examines bullying through the lens of boys and sports. The book addresses the challenges faced by non-athletic boys growing up in a culture that glorifies physical skills at the expense of many other skills, and was listed as a “MUST READ” by Parents magazine. 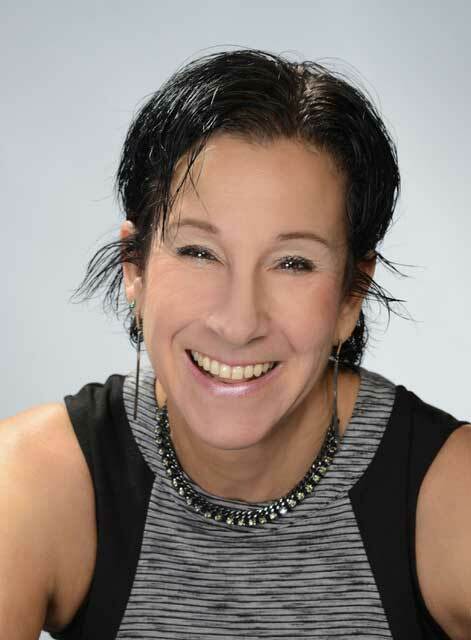 Janet speaks frequently at various professional conferences and has taught workshops for mental health professionals, educators, and parents all around the United States and parts of Canada, as well as in Mexico, Russia, Croatia, and Germany. She writes regularly on topics related to parenting teenagers in articles and on her blog (http://www.janetedgette.com/blog/), and invites you to visit her other website ((http://www.janetedgette.com) and follow her on social media.